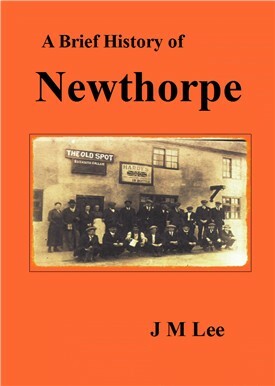 Newthorpe arose some time before the Norman Conquest, its name suggestive of a Danish origin. Like its neighbours, it first appears in public records as an entry in the Domesday Book and for centuries afterwards existed as a large and relatively important agricultural hamlet. It was probably idyllic: a small village centre of thatched cottages, surrounded by hundreds of acres of fields and commons. In medieval times it became part of the huge estates belonging to two important, local monasteries – Lenton and Beauvale - and after the Dissolution became the property of a series of important land-owning families including the Earls of Essex, the Willoughby family of Risley and the Lords Stamford, Melbourne and Cowper. Earl Cowper was the last of the major landowners; his estates lasted until the early part of the 20th century before being broken up and sold off in small, private lots. The landed gentry went into decline, basically, as the tide of industrialisation advanced. Framework knitting was an early cottage industry and coal had been extracted in the locality since the earliest times, possibly even by the Romans but certainly by the monasteries. As time went on and technology slowly improved, industry became vastly more important and agriculture less so. With the progressive arrival of modern transport systems - turnpike roads and canals in the 18th century and then railways in the 19th century – mining, particularly, became hugely important. The culture of the miners, their families and their way of life dominated the area for many years. It is now all but gone, but an important and fascinating industrial heritage remains. Victorian infill started to alter Newthorpe’s rural character in the 19th century and eventually more modern housing filled its vast areas of common land. Today the area is a modern part of Nottingham’s conurbation with its supermarkets, retail parks and modern suburban lifestyle. But it’s still possible to glimpse echoes of the past through the modernity, which is what this booklet attempts to do. Aspects of interest from places within the general area, such as Hill Top, Giltbrook and Beauvale are also included.